Prof. Prajapati Trivedi is a Senior Fellow (Governance) and a Director, Economic, Social and Sustainable Development Directorate, Commonwealth Secretariat, London. Previously, Professor Trivedi was an Adjunct Professor of Public Policy at the Indian School of Business (ISB), where he directed a project on ‘Regulating the Regulators’ and was the Faculty Chair for the Management Programme in Public Policy (MPPP). In addition, he was also a Visiting Economics Faculty at the Harvard Kennedy School of Government, Harvard University. 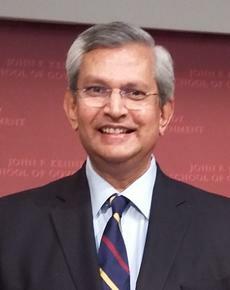 Prior to joining ISB, from 2009-2014, he worked as a Secretary to the Government of India in the Cabinet Secretariat, where he was responsible for designing a highly regarded whole-of-government performance monitoring and evaluation system for government departments and reporting the results to the Prime Minister of India. He worked as a Senior Economist with the World Bank from 1995-2009; Economic Adviser to Government of India (1992-1994) and a Chaired Professor of Public Sector Management at the Indian Institute of Management Calcutta (1987-1992). He received M.Sc. (Economics) from London School of Economics in 1972 and Ph. D. (Economics) from Boston University in 1985. He is author of four books and several academic papers.